Can the #BookDirect campaign evolve into a ​sustainable movement? » Can #BookDirect Evolve Into A Sustainable Movement? Can #BookDirect Evolve Into A Sustainable Movement? ​David is the co-founder of multiple startups including the niche listing site SmokyMountains.com. His beliefs are colored by owning multiple vacation rentals, formerly owning a property management company with 100+ rentals, and his diverse technology experience prior to entering the vacation rental niche. David resides in Gatlinburg, TN with his wife and three children. At VRM Intel Live and Vacation Rental Success Summit, I spoke on the topic of “Evolve or Die.” While I covered a myriad of topics including customer acquisition, conversion rate optimization, revenue management, and product evolution, a few members of the audience thought my comments about the #BookDirect movement were offensive. This does not surprise me – ​it's a complex subject. In case you are not familiar with the #BookDirect movement, the high-level idea is that potential guests are better off working directly with homeowners and property managers than dealing with third-party listing sites like HomeAway, Airbnb, or Booking.com. The movement coalesced a passionate group of industry professionals and utilized social media, email marketing, and word-of-mouth to get the word out. By most measurements, the campaign was a success! It raised guest awareness, produced direct bookings, and gave property managers and homeowners a cohesive talking point. However, ​something I want to focus on today is the​ number of participants who focused on price. In my opinion, ​price-centric messaging will self-destruct in the next 18-24 months. The vacation rental industry is maturing and eventually price parity will become a focus for our industry. Once price elasticity is reached and conversion rates are impacted, I believe all of the listing sites will pivot to a transactional, host fee similar to the Booking.com model today. In fact, Airbnb has already started testing this and HomeAway has indicated they will move to a host fee in the near future. If the messaging remains price-centric, the campaign will no longer be effective or relevant in a world of host fees. I tend to think in extremes. Let’s imagine a scenario where this grassroots effort is insanely effective and market-share is dramatically reduced for the listing sites. Does the OTA have a way to effectively retaliate? It depends. If the property management brands continue to make this discussion price-centric, then the multi-billion dollar corporations will have no problem prevailing. Remember, Booking.com does not have a traveler fee, Airbnb is testing no traveler fee, and HomeAway will likely follow suit with a transactional model in the near future. Money is where global companies want to compete. This is where they are strongest. If you compete here, you are gambling with your future. On the other hand, property managers have a unique opportunity. They can pivot the discussion away from price and focus on the OTAs weakness – destination knowledge and local experiences. At scale, this is a nearly impossible challenge for a global listing site. ​Guided Hikes: Hire a local guide or company to provide guided hikes several days per week on different trails each day. Even though the perceived value is high, the actual cost per-person is low. Professional Photographer: You never have to wander far in the panhandle to find a family dressed in white posing for photos on the beach. Hire a photographer at a daily rate and use a service like calendly to book time slots. When a family books direct, you will provide them with a free photo shoot and the digital images. Bonus Tip: Use these digital images in a personalized email campaign to keep your company top of mind. Walking Tours: Most major tourist destinations have walking tours ranging from historical to nature to ghost tours. Negotiate a deal for time-slots or discounted passes to these walking tours and provide them to your guests. Designated Driver: Live in an urban market with a big bar scene? Hire a driver on an hourly/daily rate and provide free rides to/from the bars between 6pm and 2am. If you play your cards right, you might even be able to get some free PR for your company out of this idea! Brunch/Breakfast: If you have a large office, you could host an open brunch complete with a chef making omelets and a bartender serving mimosas. Small office? No problem. Work with a local restaurant to provide this free of charge on a low-demand day at a heft discount due to volume. 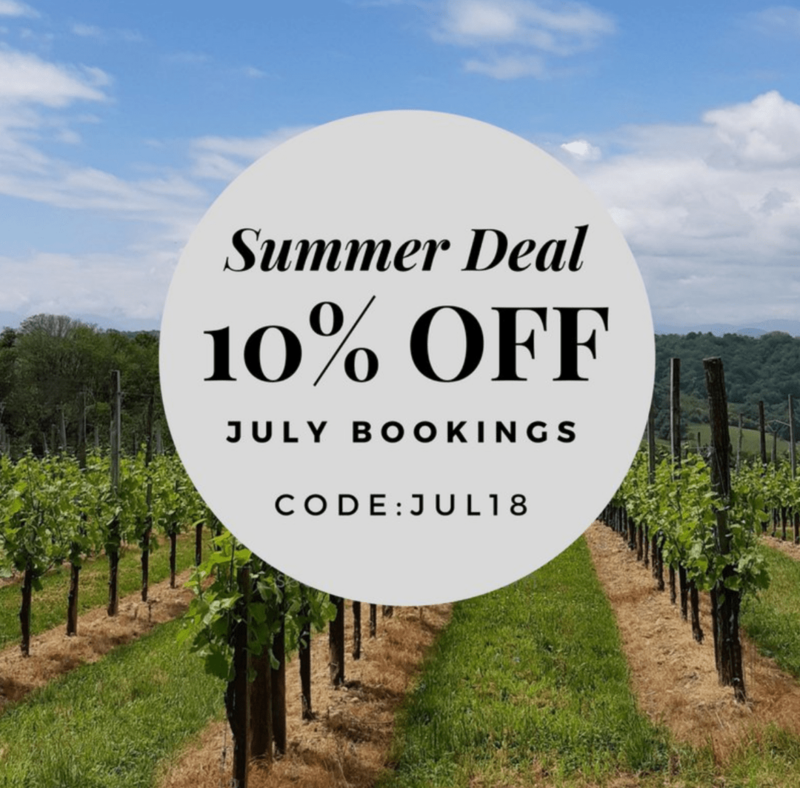 Microbrewery or Winery Tour & Tastings: Work with the local wineries or microbreweries and a shuttle company to pick up guests at their rental and take them to the most popular spots for free tastings. Beach Service: If negotiated in advance at scale, the cost of providing beach chair/umbrella service for your guests will be a small fraction of what the guest would have to pay for it. On a week-long stay, the perceived value of this perk could easily exceed $100 and it will likely only cost you $10-20. Equipment Rental: Stand up paddleboards, kayaks, and access to inflatable waterparks can be easily negotiated with local providers. For motorized rentals such as boats or jet skis, offer to pay your local providers 25% of retail if they will discount it an additional 25%. This results in motorized activities at half off for your #BookDirect guest. Area Attractions: Take the time to negotiate discounted passes to miniature golf, go-karts, dinner shows, mountain coasters, mirror mazes, museums and offer these passes for free to your guests. You will want to limit the number of free passes (based on cost) to the guest count in the unit. You don’t understand/know what you are talking about. I can understand your skepticism – I own a listing site. However, I also have been a VRBO owner, owned a property management company with 100+ units, and still own multiple vacation rentals. During this entire time, I have been vehemently opposed to competing on price and believed that guest experience and owning the guest was the only way to survive long term. I am passionate about this industry, small businesses, and the potential of this movement. Taking action and doing anything worthwhile is difficult. If you want to control your own destiny, a time investment is absolutely necessary. Delivering value and experience to your guests is a surefire way to control your own destiny and help your business stand out from the crowd. ​With commission compression and the crazy competition in most markets, this is the most valid of the excuses. However, there is a simple way to fund this. Charge the same fee that the listing sites are charging and use it do incredible things. You can even add the same fee to bookings from the OTAs to have a bigger budget. Look at your gross revenue from last year and imagine 10-12% of that number as a guest experience budget. You can hire someone to manage this and have the budget to do something truly special! The initial Guest Education Day run by VRMintel and Amy Hinote did an excellent job at standardized messaging and talking points. To increase the impact of the campaign, ​I like moving away from being price-centric to experiential. ​The consistency of messaging and offering will help increase exposure and adoption. These graphics ​could highlight the minimum benefits (see below) and be experience related. The graphic generators should have standardized messaging with fill-in-the-blanks. ​There will need to be a consolidated PR effort to ensure adequate exposure upon relaunch. The media channels ranging from local news sources to travel-focused sites will help drive demand. 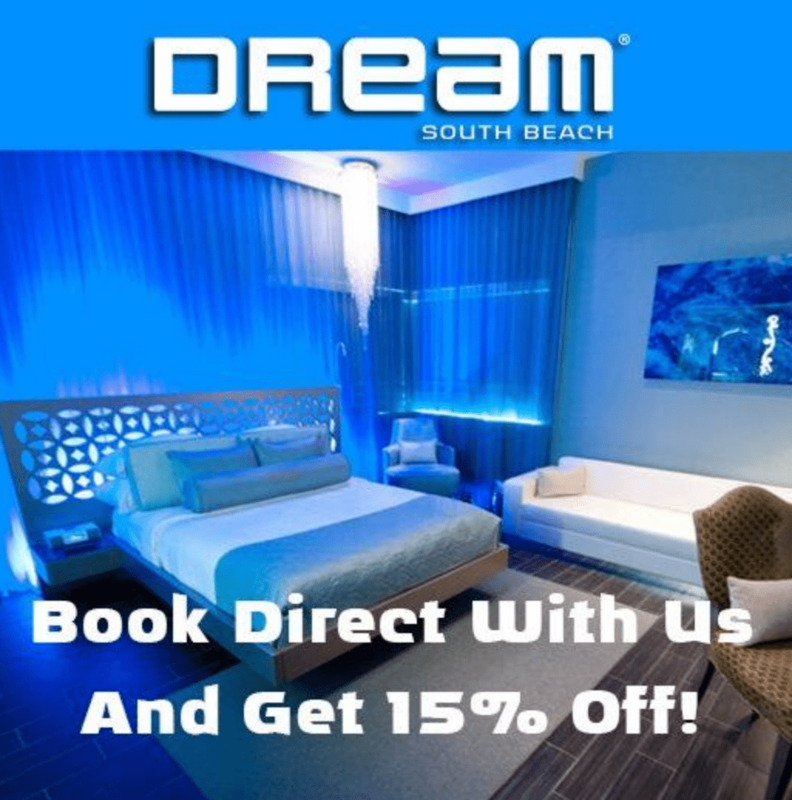 ​A brand that associates with Book Direct should offer a minimum set of benefits without sacrificing the local flavor. For example, every Book Direct guest should receive branded material through the mail when they book, a welcome amenity, a food experience (i.e. brunch one day of their stay), destination benefit (free paddleboards) and negotiated benefits. Throughout the sales funnel, minimum benefits should be highlighted to nudge prospective renters closer to purchase. For example, a tactful banner ad highlighting free beach service on the listing page and another highlighting a free, branded YETI mug on the checkout page will reinforce the value proposition at each step. ​The movement should have a centralized website of unique brands that highlights their individuality (think Leading Hotels of the World for vacation rentals). Each piece of correspondence with guests and each website should drive traffic to the high-level site using links and graphics. So can the #BookDirect campaign evolve into a ​sustainable movement? I think​ so. ​But while a price-centric campaign is much easier, the long-term lifespan is limited and the gains are minimal. By utilizing the ideas and strategy outlined in the article above, your company will become less dependent on listing sites and maximize the Experience-to-Expense Ratio setting yourself apart from the competition. ​Let’s brainstorm in the comments below. I would love to hear new ideas on how each of you will utilize additional budget to provide unique experiences for guests. 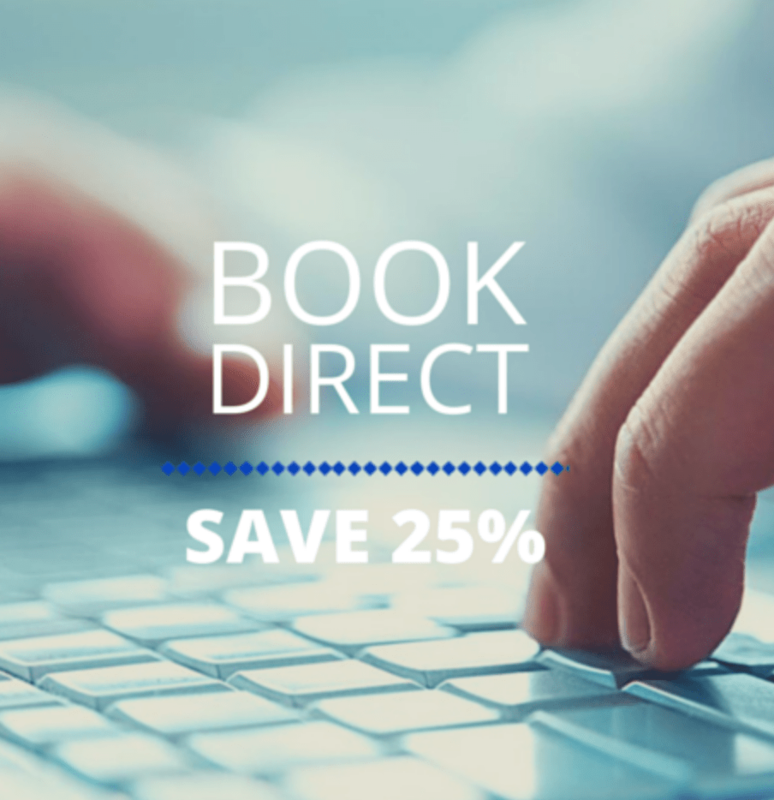 Together, we can push #BookDirect to the next level! After successfully founding and exiting an educational startup in 2009, David began helping companies with business development, SEM, SEO, CRO, online marketing, mergers and acquisition, product development, and branding. Now, he is focused on his niche listing site in the Smoky Mountains. In addition, David regularly blogs about business and life here.